swac015 - This is the Lugogao Tennis Racket for Nintendo Switch Game "Mario Tennis Aces" and comes complete with Wrist Straps - Two Pack (includes 2 Rackets). 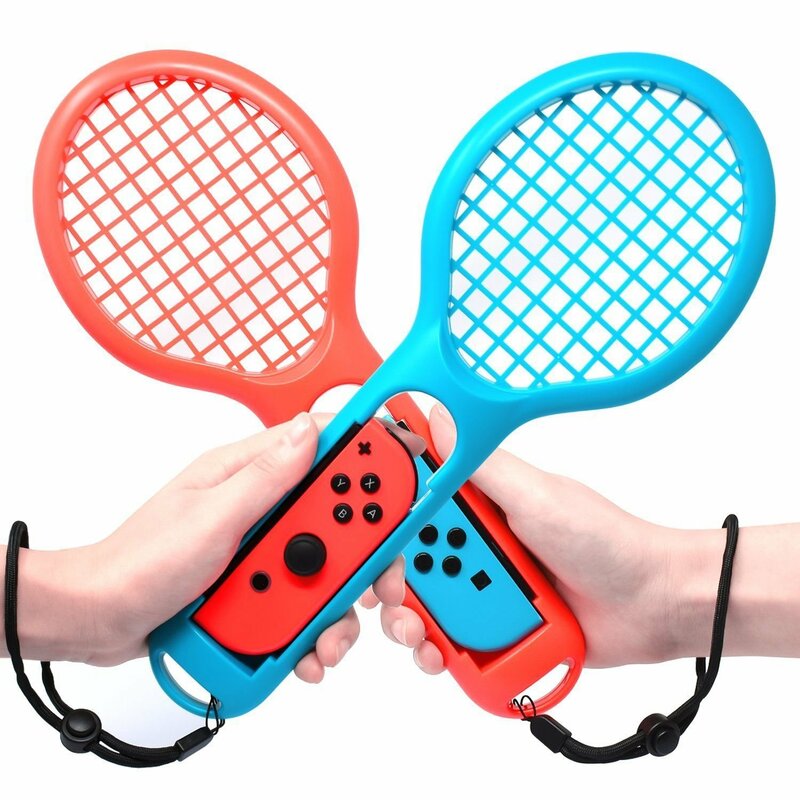 This racket is specially designed for Nintendo Switch Games, and both are ompatible with left and right Joy-Con controllers. NO Shake Off. The enhanced sense of experience offers a better realistic gaming experience on playing somatosensory games with your whole family or friends. The Lugogao Tennis Racket & Wrist Straps for Nintendo Switch Joy-Cons are easily installed and removed. : Each Tennis Racket offers the perfect size and shape for easily sliding your Joy-Con controller into place or remove your joy-con from grips. The design assures there is no SLIP OUT. With adjustable wrist straps for security, the tennis racket lock in place and won't slip out or be tossed to someone accidentally. The rackets are made of high quality ABS plastic that is nice to the touch and feel firm. A plus is that these are environment-friendly. Lightweight with a ergonomic design suitable for all hand sizes. Widely applicable, compatible with all racket sports games including Mario Tennis Aces for Nintendo switch. Holding these grips when you play Tennis games brings realism and a sense of competitive gaming to the Switch. Make it easy for you to KO your opponent with a slam. Break through traditional gameplay and become the winner. [b]Note[/b] You need to choose Swing Mode to use this tennis racket. Compatible Platform: Nintendo HAC-001 System (Switch).